Comments: This is a hardcover book. 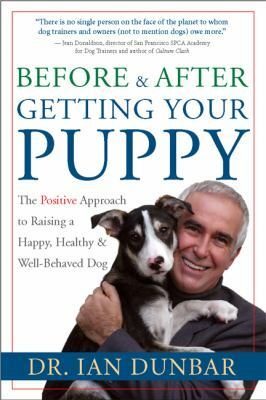 Ian Dunbar offers a step-by-step approach to training your puppy. His philosophy of using toys, treats & games as rewards, rather than a strict lead correction & drill sergeant method, has transformed dog training & produces proven results.Dunbar, Ian is the author of 'Before & After Getting Your Puppy The Positive Approach to Raising a Happy, Healthy & Well-Behaved Dog', published 2004 under ISBN 9781577314554 and ISBN 1577314557. Loading marketplace prices 1065 copies from $1.67 How does the rental process work?